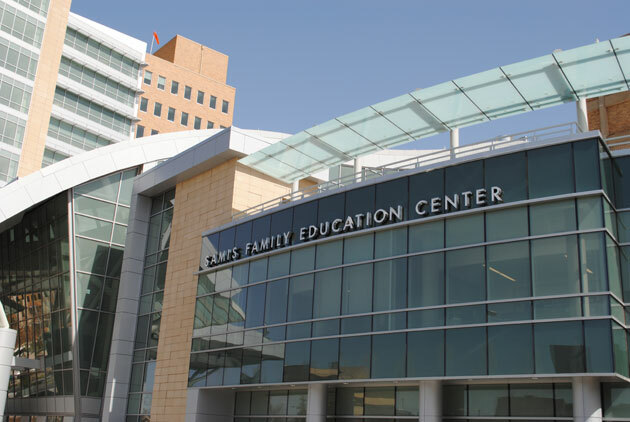 Dr. Levin’s talk will take place in the Rainbolt Auditorium of the Samis Family Education Center, 1200 Children’s Avenue, Oklahoma City, OK 73104. The talk is being presented in cooperation with OU Physicians. or (2) Call Jacklyn, (405) 250-6263. Marc Levin, MD, a family physician, has completed three field assignments with Doctors Without Borders / Médecins Sans Frontières (MSF). On his first assignment with MSF in Dogdoré, Chad, Dr. Levin was the only doctor for 30,000 people in a conflict zone. Working seven miles from the Darfur border, Levin delivered basic health care to internally displaced people who had fled from violence near their homes. Following that assignment, Dr. Levin participated in a large-scale response to malnutrition in Maradi, Niger, in 2008. While in Niger he worked in a referring center and intensive care unit for severely malnourished children younger than five. His work involved treating malnutrition and secondary diagnoses such as malaria and respiratory infections, rehydrating patients, and starting them on nutrient-rich therapeutic foods that enabled over 90 percent of them to return home within weeks. His third mission, ending in June 2011, was a six-month placement in Batangafo, in the Central African Republic, where he was the medical director of a seven-site project which provided health services to populations affected by conflict, neglected diseases, and recurrent epidemics. While not on assignment with MSF, Dr. Levin works as Coordinator of Obstetrics, Maternity Care and Community Health for the Beth Israel Residency in Urban Family Medicine in New York City, where he teaches and supervises residents and medical students, leads inpatient rounds, delivers babies, and gives lectures. 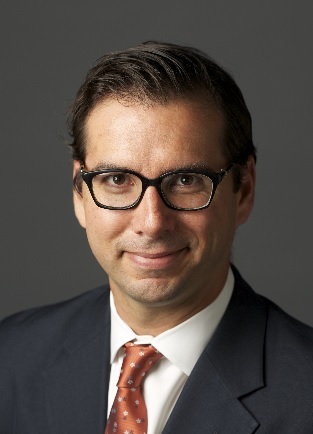 He holds a faculty position with the rank of Assistant Professor in the Department of Family and Social Medicine at Icahn School of Medicine at Mount Sinai in New York City. He received his bachelor’s degree in History from Brandeis University and received his MD from SUNY-Upstate Medical University in Syracuse, New York. He completed his residency training at the Ramsey Family and Community Medicine Residency Program in St. Paul, Minnesota. 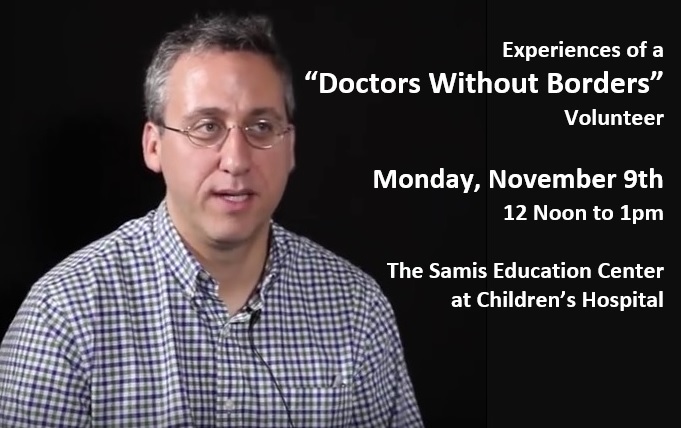 About the Samis Education Center. 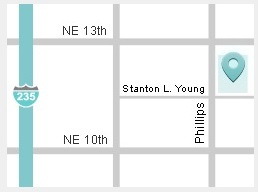 The center is located adjacent to Children’s Hospital (NE 13th & Phillips, basically). The auditorium is beautifully designed for large meetings, educational sessions and other events. 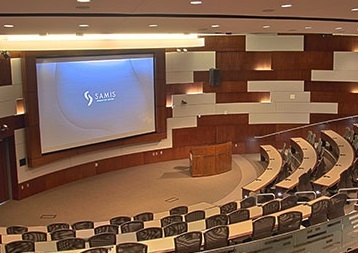 It features both conference-style and theatre-style seating as well as state-of-the-art video and communications technology. The auditorium will easily accommodate the crowd we are expecting. It will seat 278 people comfortably — with 74 seats at the front in a tabletop, conference-style setting. There is additional theatre-style seating at back. Why RSVP? Parking is an issue at Samis because of patient traffic. Attendees who RSVP in advance will receive additional instructions about getting to Samis, including the best parking options. Please be sure to give yourself plenty of time to arrive. “As a part of our chapter’s commitment to assisting with the realization of the UN’s Global Goals for Sustainable Development, UNA-OKC is delighted to sponsor Dr. Levin in an effort to share his vast knowledge and unique field experiences with those now entering the health sciences professions. 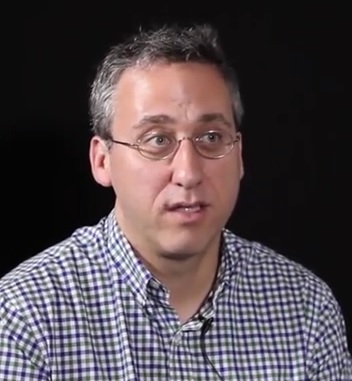 As a Doctors Without Borders’ physician, Dr. Levin provided care to primarily children in the most dire circumstances. 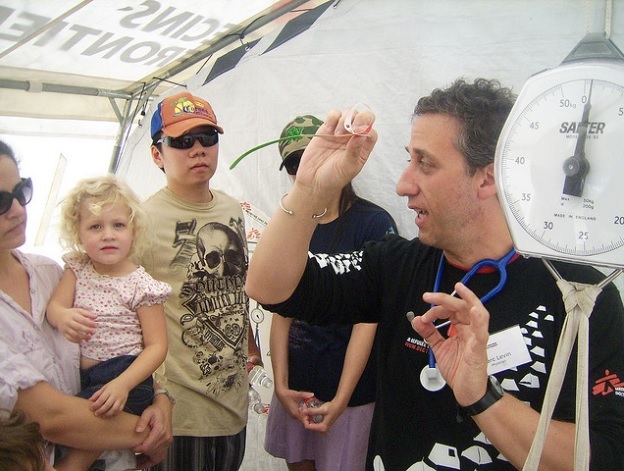 Your OKC Chapter of the United Nations Association is proud to announce an appearance by Marc Levin, MD, a family physician, who has completed three field assignments with Doctors Without Borders / Médecins Sans Frontières (MSF). While not on assignment with MSF, Dr. Levin works as Coordinator of Obstetrics, Maternity Care and Community Health for the Beth Israel Residency in Urban Family Medicine in New York City. Dr. Levin will present a talk about his field experience as it relates to the Global Goals that were recently adopted by the United Nations. 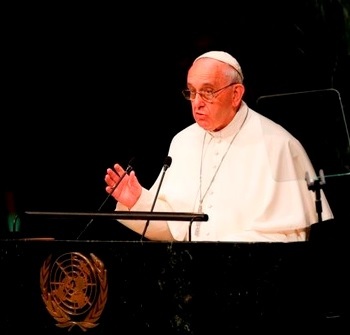 He is also expected to address the refugee crisis that presently confronts our global community. The talk is being co-sponsored by the Model UN program at the University of Central Oklahoma, and it will be generously hosted by the International House at UCO. *There is limited parking at the International House. Additional parking is available across the street at the football stadium. 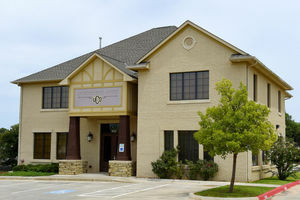 For more information about the International House, please see their website, http://www.uco.edu/student-affairs/international-house/index.asp. the hospital in Afghanistan that was destroyed by U.S. 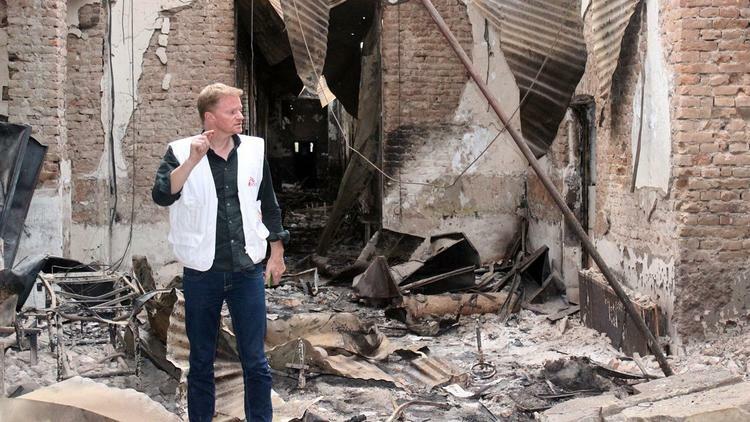 Earlier this month, an MSF hospital was bombed by American airplanes in Kunduz, Afghanistan. President Obama apologized for the attack, and the commander of U.S. and NATO troops in Afghanistan said it was a mistake. 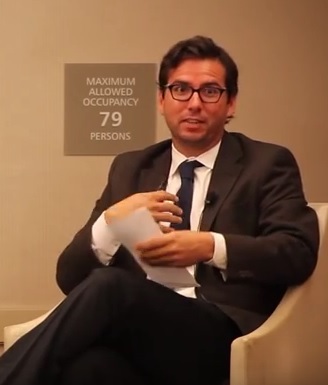 Christopher Stokes, the general director of MSF, says the bombing should be investigated as a possible war crime. For more information about MSF, please visit www.doctorswithoutborders.org. We are so grateful for the members of our UNA-OKC chapter who make it possible for us to bring Dr. Levin to Oklahoma in cooperation with our friends at the University of Central Oklahoma. The United Nations Association is a not-for-profit, nonpartisan organization that supports the work of the United Nations and encourages active civic participation in the most important social and economic issues facing the world today. 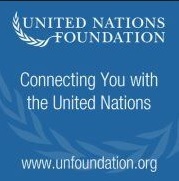 As a local chapter of the nation’s largest grassroots foreign policy organization, your UN Association of Greater OKC offers Oklahomans the opportunity to connect with issues confronted by the UN — from global health and human rights to the spread of democracy, equitable development, and international justice. Got Your Ticket for “UN70” on Saturday? We’re Having a Silent Auction! When you arrive at the CHK | Central Boathouse on Saturday, please be sure to take a look at our Silent Auction items. You can start browsing as early as 11:30am. 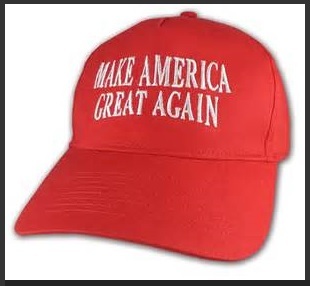 There will be a variety of items — including the attractive novelty hat shown above. Perfect for Halloween! Frighten your co-workers! Our luncheon will be served buffet style — with Salad, Chicken Parmesan and Rice Pilaf, Spinach and Mushroom Lasagna, Garlic Bread, and Orange Blossom Cake. We think you will enjoy it! We’re also having some spectacular cultural entertainment, arranged by our friends at the World Experiences Foundation. We can’t thank you enough for choosing to be part of our UN70 Celebration. 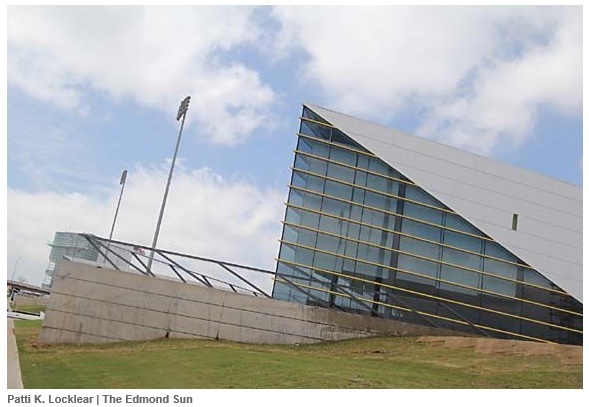 The CHK | Central Boathouse serves as the home of UCO Women’s Rowing Team. It was constructed with generous gifts from Chesapeake Energy company, MidFirst Bank, and other donors. It opened its doors to the public in April of this year. The CHK | Central venue shouldn’t be confused with the Chesapeake Boathouse which is located close-by, just west of the Lincoln Avenue bridge. 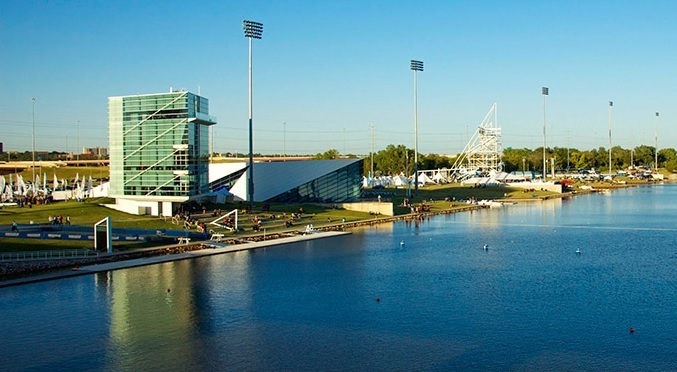 Our venue is on Riversport Drive, which lies east of Lincoln. The following map gives you a sense of where the Boathouse District is located. You can reach Lincoln Avenue from either Reno (to the north) or Southeast 15th Street (to the south). The CHK | Central Boathouse isn’t just for boating. The building features the Martha Burger Art Gallery, the C. Hubert Gragg Shell Gallery, and the MidFirst Bank Performance Hall. It also includes space for office areas, reception areas, concessions, a green room, a conference space, and an indoor rowing space. We think you will enjoy the architecture and athleticism of the entire Boathouse District. Our program will begin promptly at 12 Noon on Saturday, October 24th. You can begin checking in as early as 11:30am. We love Google Maps. We love the convenience of onboard GPS systems. But, here’s something we have learned from experience. You can’t always rely on Google Maps to be accurate — particularly when you’re looking for an address that wasn’t in existence 12 months ago. We noticed that EventBrite (our automated online ticket agent) sent out a map that was just plain wrong. If you bought your ticket online, don’t try to follow the map on the message you got from Eventbrite. You will be disappointed in the results. Rather, refer to the map above. It is guaranteed to be correct! 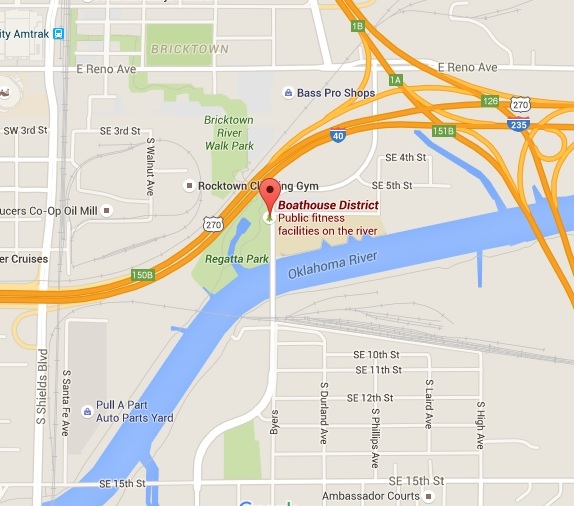 In case of directional challenges, you can call the Boathouse District office for guidance: 405-552-4040. 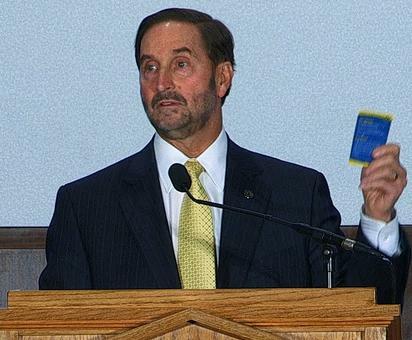 UCO President Don Betz has called the construction of the CHK|Central Boathouse the next step in a fulfillment of a dream and a demonstration of the power of common vision, collaboration and generosity. Hmmm … Those sound like UN values, don’t they? will be Closed … Have You Reserved Your Seat? Online Ticket Sales for “UN70” Have Now Closed. If you are planning to come to the UN70 Celebration on Saturday at the CHK | Central Boathouse, please make sure to buy your ticket(s) before the ticket window closes. The hours are ticking down. We can’t guarantee that seats will be available after today. Regardless of the price level you choose, you will enjoy our UN70 event. It will include a nice luncheon, with good food (including a vegetarian option). You’ll be surrounded by nice, friendly people who support the values of the United Nations just like you do. Plus, you’ll hear an inspiring message from Mr. Mike Beard of the UN Foundation and the Better World Campaign. We’ll be helping to launch the Global Goals for Sustainable Development. Proceeds from our UN70 event will help to support your OKC Chapter of the UN Association. Our programs and activities are designed to benefit our community right here in Oklahoma. For example, our chapter supports local Model UN simulations, which serve to promote global education, team building, and critical thinking skills. We bring thoughtful panel discussions and special speakers to our community. 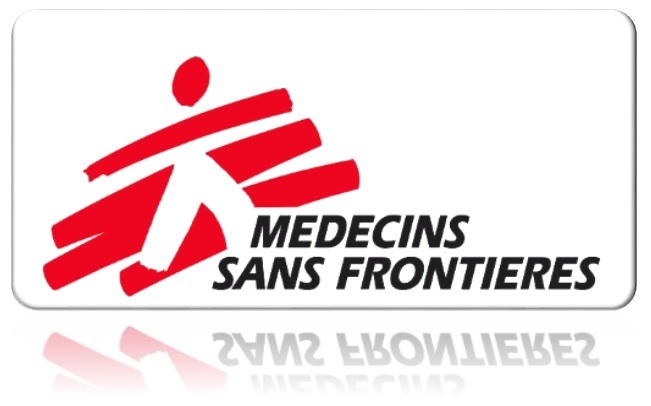 (Next month, we’re bringing a speaker from Doctors Without Borders — more details on that soon!). Our programs help our community to celebrate peace, human rights, global health, and more. We hope you can join us on Saturday for UN70. If not, then please plan to attend one of our other events during the year — Human Rights Day, Nelson Mandela Day, etc. Don’t want to miss out on an upcoming event? Join our email list, managed by Constant Contact. Want to Support Your Local United Nations Association, But Can’t Attend our UN Day Luncheon on Saturday? 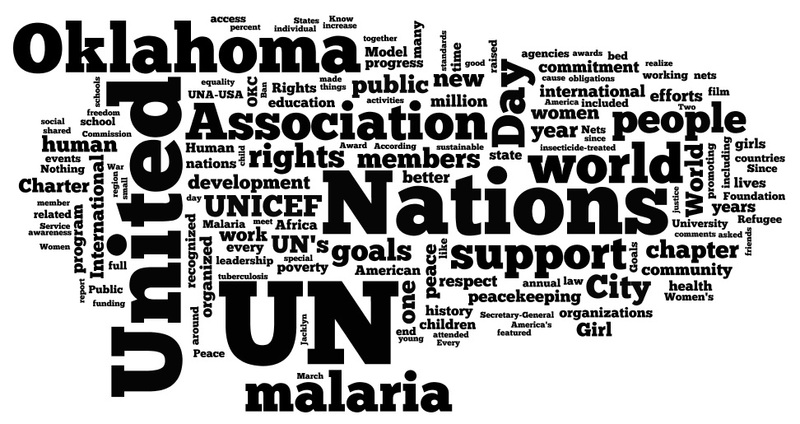 If you support the goals of the UN Charter, please consider making a donation to your OKC Chapter of the United Nations Association. Better yet, please consider becoming a member of the United Nations Association. When you join, a portion of your membership dues support your local OKC chapter. Find out more about the benefits of membership here …. 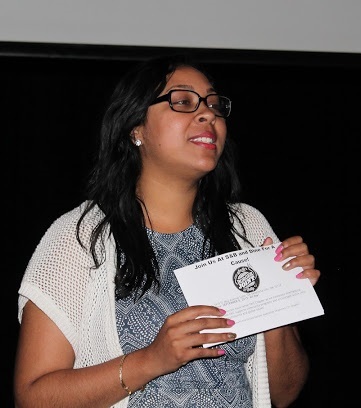 Do you know Michelle Rodriguez, the vice president of programs for your OKC chapter of the United Nations Association? Sure, you do. Maybe you saw her at the Nelson Mandela Day celebration at the Oklahoma Contemporary Arts Center. Maybe you participated in the International Literacy Day fundraiser last month (which Michelle organized with help from her friends!). 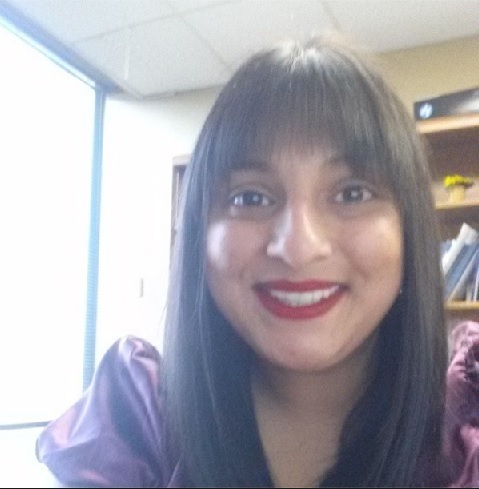 Michelle is the advocacy director for our chapter as well as serving as our VP of programs. She knows how to get the job done! At our UN70 celebration, you’ll have the chance to share a table with some of the best folks in all of Oklahoma. They’re your kind of people — bright, friendly, and committed to the values of the United Nations. You’ll enjoy good food. You’ll hear an inspiring message from Mr. Mike Beard of the UN Foundation and the Better World Campaign. It’s an event you will not want to miss. We hope to see you at the CHK | Central Boathouse. It all takes place at the CHK | Central Boathouse on the Oklahoma River. It’s the home of the University of Central Oklahoma’s women’s rowing team! People around the world are celebrating the 70th anniversary of the United Nations. Plus, we’re joining with folks around the world in helping to launch the new Global Goals for Sustainable Development. The global goals will serve as the world’s to-do list from 2016-2030. They form the world’s shared agenda to end poverty, promote peace and opportunity for all, and protect the planet. … and join us on Saturday, October 24th, for an inspring event. Watch this short ( < 3 mins ) video from UNICEF. It features international pop star (and UNICEF Goodwill Ambassador) Shakira speaking as an advocate for children. “This is not about charity. It’s about human investment,” said Shakira to a room full of early childhood development advocates at the UN General Assembly. 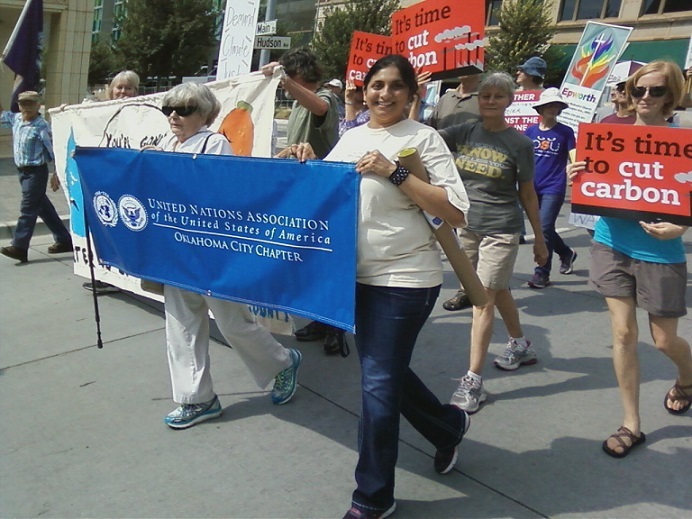 Do you know Priya Desai, the president of our OKC chapter of the United Nations Association? Sure, you do. Maybe you were at a previous UN Association activity where Priya delivered the welcoming remarks. Maybe you were at the “Support Diplomacy” rally at the State Capitol where she inspired the crowd. 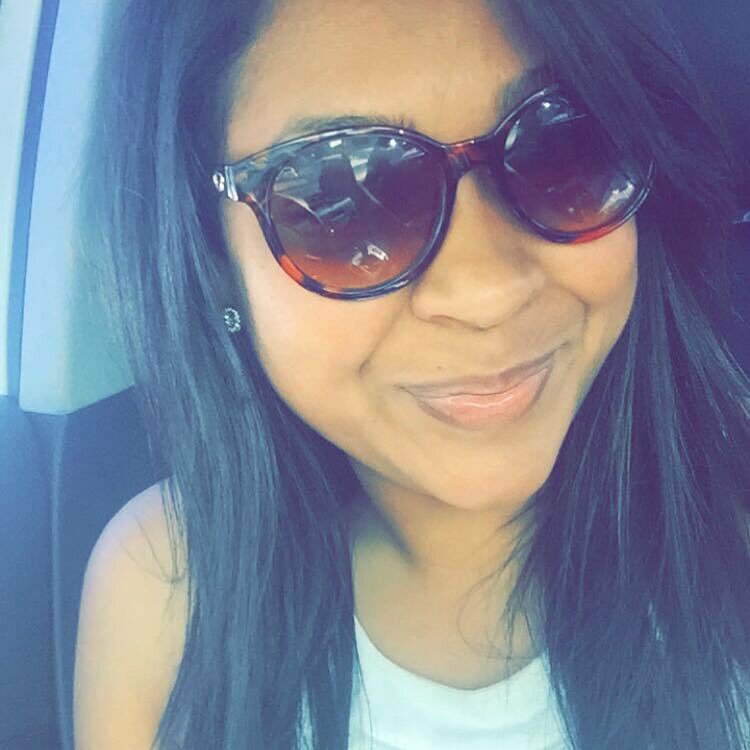 Priya is the face of UNA-OKC. She is the sparkplug who ignites our UN Association in Oklahoma City. At our UN70 celebration, you’ll have the chance to share a table with some of the best folks in all of Oklahoma. They’re your kind of people — bright, friendly, and committed to the values of the United Nations. You’ll enjoy good food. You’ll hear an inspiring message from Mr. Mike Beard of the UN Foundation and the Better World Campaign. And, that’s not all. We’re also paying honor to our special guest, Dr. Don Betz — president of the University of Central Oklahoma. It’s an event you will not want to miss. … and join us on Saturday, October 24th, for an inspiring event. 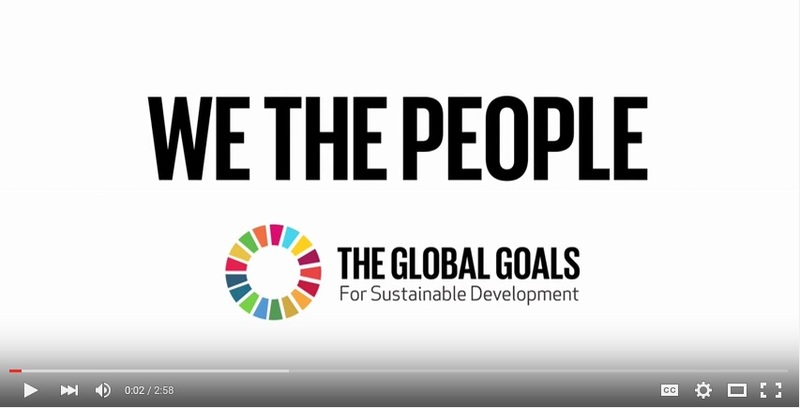 Watch this short ( < 2 mins ) video on the new Global Goals for Sustainable Development. 15 years ago, the United Nations set out 8 Millennium Development Goals to tackle extreme poverty and improve people’s lives around the world. Today, 700 million people have been lifted from extreme poverty and 9 in 10 children are able to go to primary school in developing regions. We have come a long way, but there is still more to be done. Building on the momentum generated by these goals, we are ready to adopt the new Sustainable Development Agenda. The time to act is now. The world is talking about the United Nations’ Global Goals for Sustainable Development. Do you have your ticket for our UN70 Celebration in OKC on October 24th? Help us to launch the Global Goals! In newspapers, on the internet, and over the airwaves, people are talking about the Global Goals for Sustainable Development. And why shouldn’t they be? 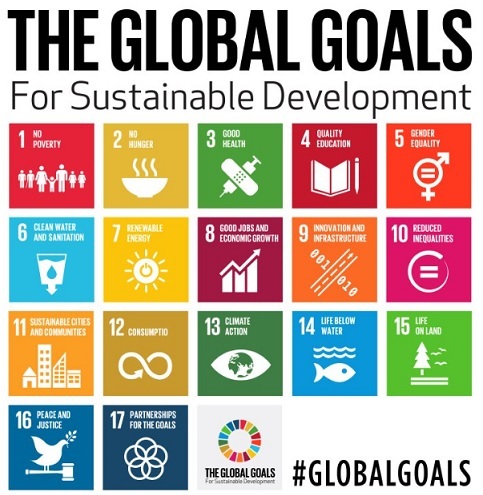 The Global Goals are a new, universal set of goals, targets and indicators that UN member states will use to frame their agendas and political policies over the next 15 years. The 17 Global Goals aim to achieve 3 extraordinary things in the next 15 years. 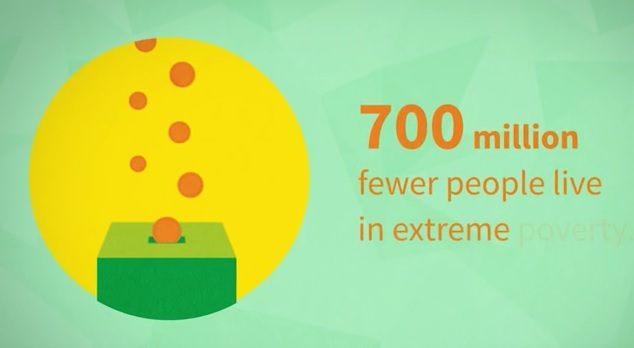 End extreme poverty. Fight inequality & injustice. Fix climate change. Through the Global Goals, we intend to transform the world by the year 2030. 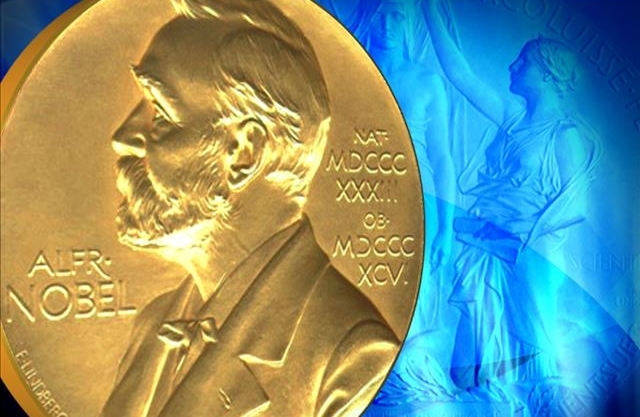 Pope Francis, Serena Williams, 193 world leaders, Matt Damon, Malala Yousafzai, Stephen Hawking, Melinda Gates, Robert Redford, Beyonce … the list goes on. In Oklahoma City, we will help to launch the Global Goals at our UN70 Celebration on Saturday, October 24th. Do you have your ticket yet? Our UN70 luncheon is for members and friends of the United Nations Association. Everyone is invited! Our special guest speaker will be Mr. Mike Beard of the UN Foundation and the Better World Campaign. 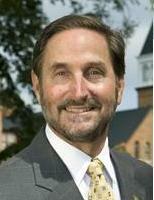 Our special guest of honor will be Dr. Don Betz, President of the University of Central Oklahoma. Our celebration will take place at the CHK | Central Boathouse on the Oklahoma River. It’s the home of the University of Central Oklahoma’s women’s rowing team. (1) Join the global conversation about the Global Goals. 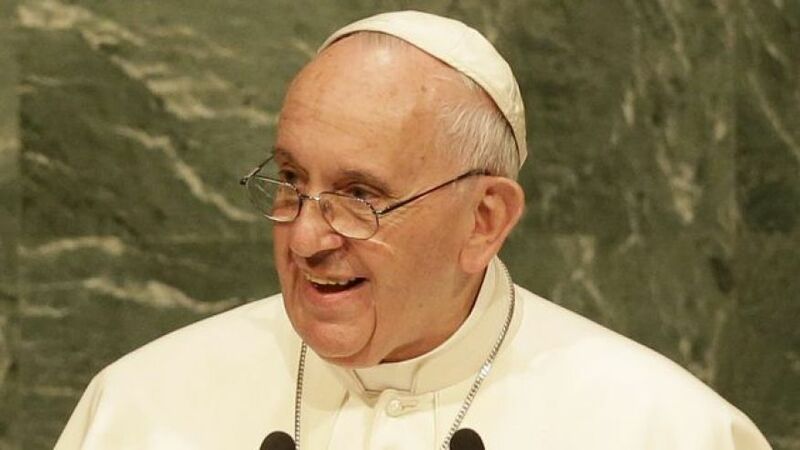 You will be better prepared to chat with the Pope the next time he drops in for a visit. (2) Enjoy good food and excellent company. You won’t find a better group of folks in all of Oklahoma. They’re your kind of people — bright, friendly, and committed to the values of the United Nations Charter. 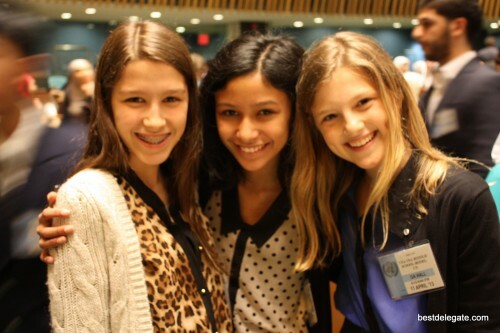 (3) You’ll help to sustain the educational and advocacy missions of your OKC chapter of the United Nations Association. Proceeds from the luncheon will go toward our efforts to support special speaking appearances, panel discussions, Model UN simulations, etc. We inform, inspire, and mobilize our neighbors to support the ideals and vital work of the United Nations. Shakira is talking about the Global Goals. If our efforts to transform the world are going to be successful, it is essential that everyone learns about the Global Goals for Sustainable Development. We hope you will join us on Saturday, October 24th, at the CHK | Central Boathouse on the Oklahoma River. You’ll need to purchase your tickets in advance .. Buy Tickets Now. “The adoption of the 2030 Agenda for Sustainable Development at the World Summit, which opens today, is an important sign of hope…. “Today we are 193 young people representing billions more. Each lantern we hold represents the hope we have for our future because of the commitment you have made to the Global Goals…. “Education is not a privilege, education is a right. Education is peace…. “2015 is a year world leaders sign up to the global goals. They are an ambitious list to eradicate poverty, save the environment, and make the world a fairer place for everyone — where every woman and every man has a chance to live a healthy, secure life full of opportunity and love. 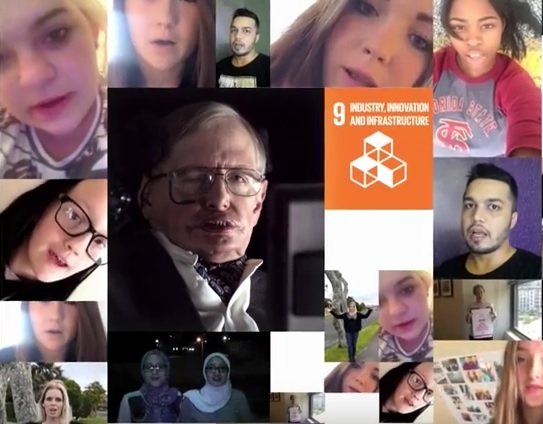 See a 3-minute video featuring Ashton Kutcher, Cate Blanchett, UN Messenger of Peace Charlize Theron, Colin Firth, Daniel Craig, Jennifer Lawrence, Jennifer Lopez, John Legend, Kate Winslet, Kid President, UNDP Champion Michelle Yeoh, Malala Yousafzai, Matt Damon, Meryl Streep, Natalia Vodianova, One Direction, Pink, Her Majesty Queen Rania Al Abdullah of Jordan, and Many More. How many of these global figures do you recognize? • To employ international machinery for the promotion of the economic and social advancement of all peoples…. For more than 40 years, your OKC chapter of the UN Association has contributed to the strength and vitality of our community by supporting educational programs — speakers, panel discussions, Model UN simulations, etc. We produce an annual celebration of Nelson Mandela Day. We co-sponsor our state’s annual Human Rights award program. 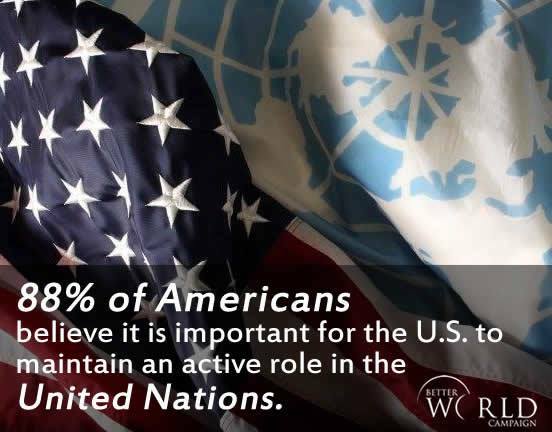 We advocate for American leadership in the United Nations. 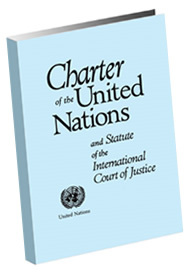 If you support the goals of the UN Charter, please consider making a donation to your OKC Chapter. 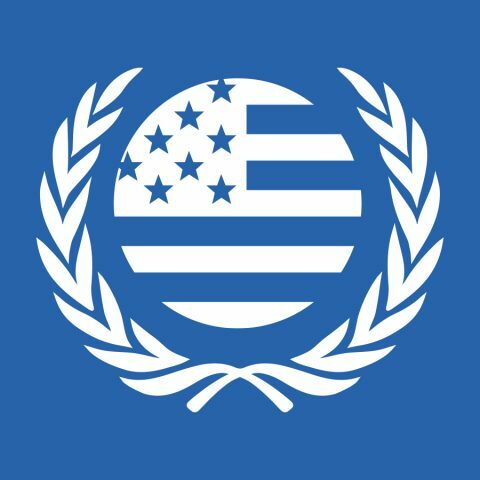 We are an integral part of the United Nations Association of the USA (UNA-USA), a membership organization dedicated to inform, inspire, and mobilize the American people to support the ideals and vital work of the United Nations. We are a recognized non-profit organization. The United Nations Association of the USA (UNA-USA) wants all Americans to understand the vital work of the United Nations. 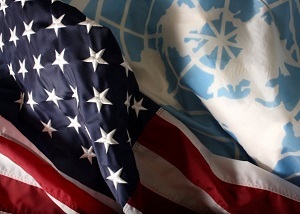 Membership to UNA-USA is your connection to the UN. As a member, you receive exclusive web content, invitations to events at the United Nations, and the U.S. Department of State, and special programming through our OKC chapter. Joining is easy .. Find more information at our Membership page. Thank you! 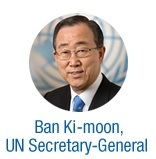 He will speak at our UN70 Celebration on Saturday, October 24th. We are pleased to announce that the special guest speaker at our United Nations Day Luncheon (UN70) on October 24th will be Mr. Mike Beard of the United Nations Foundation and the Better World Campaign. The United Nations Foundation (UNF) was launched in 1998 with a $1 billion gift from Ted Turner to support the humanitarian causes of the United Nations. The Foundation’s main issue areas are child health, climate change & energy, sustainable development, technology, women, girls, and population, and supporting the United Nations. The Better World Campaign (BWC) is a nonpartisan organization that works to strengthen the relationship between the United States and the United Nations through outreach, communications, and advocacy. 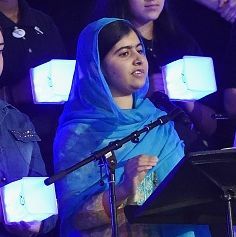 The Campaign encourages American leadership to enhance the UN’s ability to carry out its invaluable international work on behalf of peace, progress, freedom, and justice. In his role as Executive Director of UNF Advocacy and Global Health Director for the Better World Campaign, Mike Beard directs UNF’s overall advocacy portfolio as well as BWC’s global health initiatives, which includes grassroots advocacy, coalition building and legislative outreach. Beard joined the Better World Campaign in 2009 after a successful career on Capitol Hill working as a legislative aide and congressional committee staffer. “I am proud to be joining the Better World Campaign in its mission to promote a more robust relationship between the U.S. and the United Nations, particularly at a time when a growing number of the world’s greatest challenges require international cooperation to resolve,” Beard said. Mike is a frequent speaker before audiences of the United Nations Association. In 2013, he was invited to address the UNA-USA national meeting in a discussion of the UN’s post-2015 development goals. He also enjoys meeting with local chapters of the UN Association. 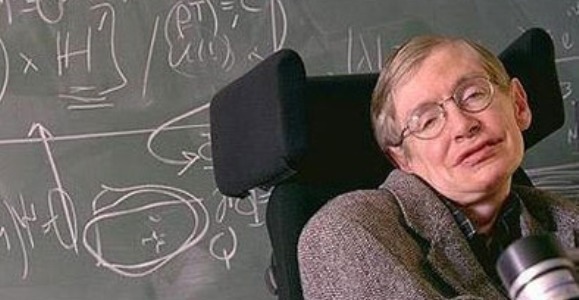 His recent travels include talks in Utah, North Carolina, and at the University of Maryland. Mr. Beard holds a bachelor’s degree in political science from the University of California, San Diego. He began his career in Washington as an intern in the office of Congressman Bob Filner. We’re honored that Mike has elected to be with us in Oklahoma City for our 70th anniversary celebration of the United Nations. 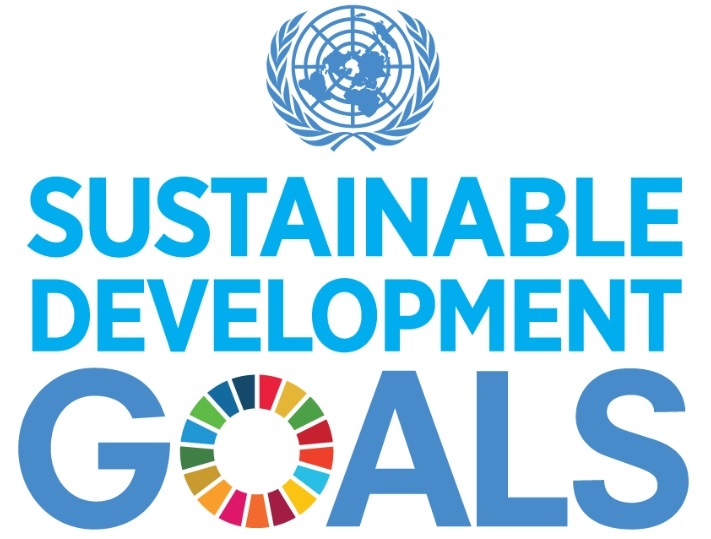 Our program will focus on the UN’s new Global Goals for Sustainable Development. Do you have your ticket yet? Tickets are limited in number, and they are moving fast. Get yours today! We hope you can join us on Saturday, October 24th, at the CHK | Central Boathouse on the Oklahoma River! 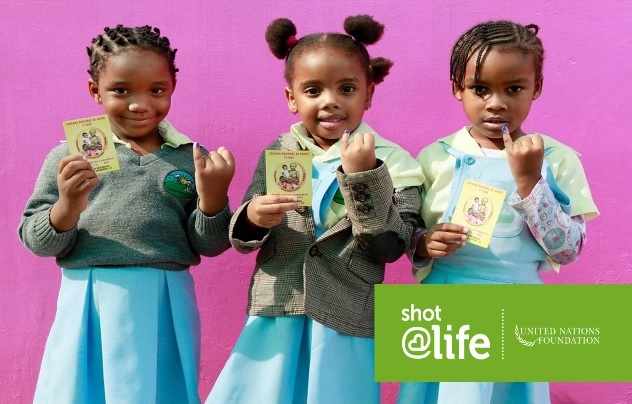 The United Nations Foundation sponsors the Shot@Life Campaign, a movement to protect children worldwide by providing life-saving vaccines where they are most needed.